Rabbi Malka Drucker is a contributor in Covenant of the Generations, Women of Reform Judaism’s new book in the Covenant series. The piece is called “Growing a Grandmother’s Heart.” She is also a contributor to the Jewish Book Award winner, Women’s Torah Commentary published by WRJ. 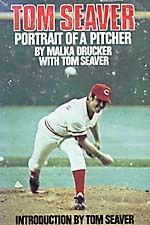 From his boyhood to the present, Seaver’s story is one of intense perseverance, concentration, and sheer will. Featuring interviews with Ram Dass, Reb Zalman, Rabbi Malka Drucker, Roshi Joan Halifax, Bob Atchley, Mary Catherine Bateson, Al Kaszniak.